E consultations can take place over FaceTime, Skype or WhatsApp video. First time e- Consultations on FaceTime & Skype calls are usually carried out on Wednesday, Saturday or Sunday evenings. In case of an emergency call the clinic and ask them to request an earlier time when you can speak to me. 1. Fill up the pre consultation form fully, with your history, symptoms & medication. The more detailed your descriptions the more you will get out of the consultation. Send me copies of the relevant reports scanned upright, & good photos of each iris taken with light shining from each side. Please label each photo with your name and whether it is the right or left eye. • Ask someone to help you take the photo holding the camera and the flashlight. 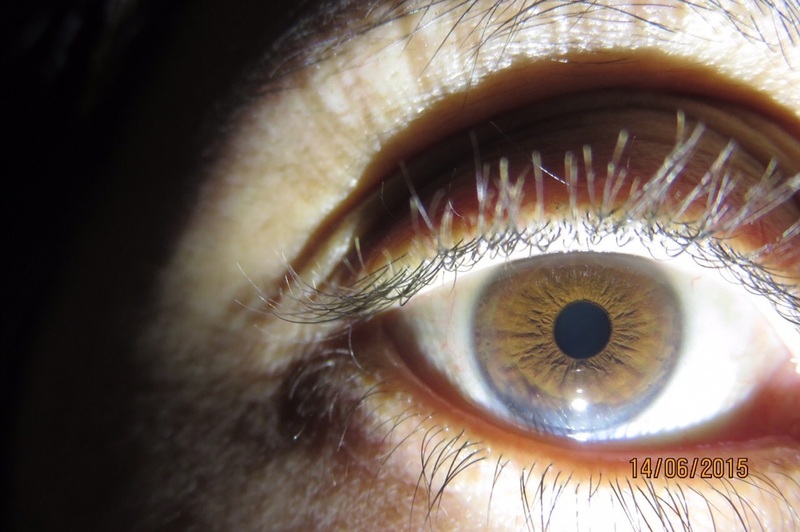 • Take at least two clear Photos of each iris pointing the light from different directions. • The eyes need to be wide open and staring directly into the camera lens. • Shine the flashlight at a 45 degree angle toward the iris. • Do not shine the light directly into the eye. • Shine it from each side and at an angle to see the landscape of the iris. • Try close up OR far away. • My goal is to see the fibers in your iris! Good lighting with clear Photographs are required to give you meaning full advice along with a properly filled up history. Your images need to be as large as possible to capture a clear, distortion free view of your eyes. Please label each photo with left or right iris. Use the forward camera on your phone, not the selfie camera side, for higher quality. Set your Zoom to at least 2X (or even Macro setting if your cameras software provides). Please follow the procedure given on the link below and we will arrange a time for the FaceTime call. Sample images of the iris taken with an iPhone using a LED torch Shining from below. 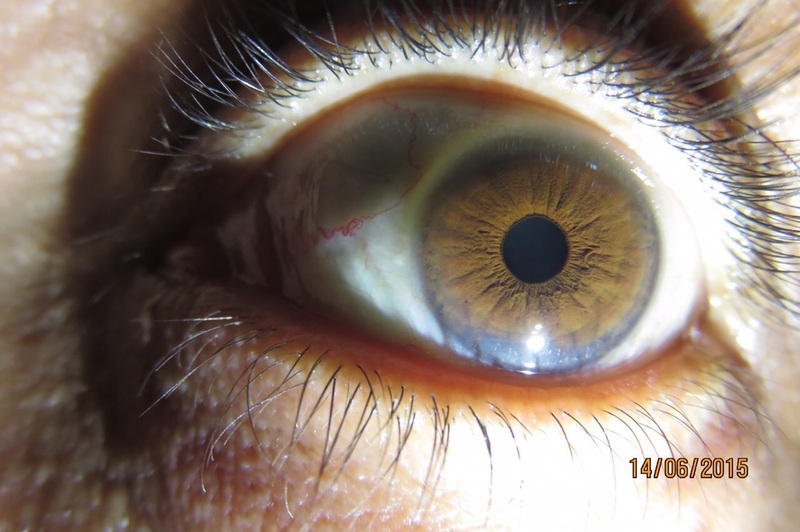 Iris photos need this type of clarity to be used for diagnosis. Please take the photos with the highest resolution available on your camera so I can enhance them to get the maximum information from them. The RTGS/NEFT IFSC : HDFC0000464. Address of Bank: Govt Hospital junction, Chengannur 689121, Kerala. E Consultations on Skype or Face time cost Rs 8400 for a consultation lasting upto 45 minutes. Overseas Patients can make a Paypal Payment on the email address I will provide. 4. Please send me a copy of the remittance advice. 5. Send me a Skype request with your Skype name, FaceTime e mail address or Whatsapp tel number. 6. Please set up your camera, test your sound, lighting, etc before initiating your call so you get the maximum out of your consultation. 7. My Skype name is Dr.Manik. Press the button above to call me on Skype. 8. After the consultation I will send you a note summarising the advice I have given you and a scanned copy of your receipt for payment.